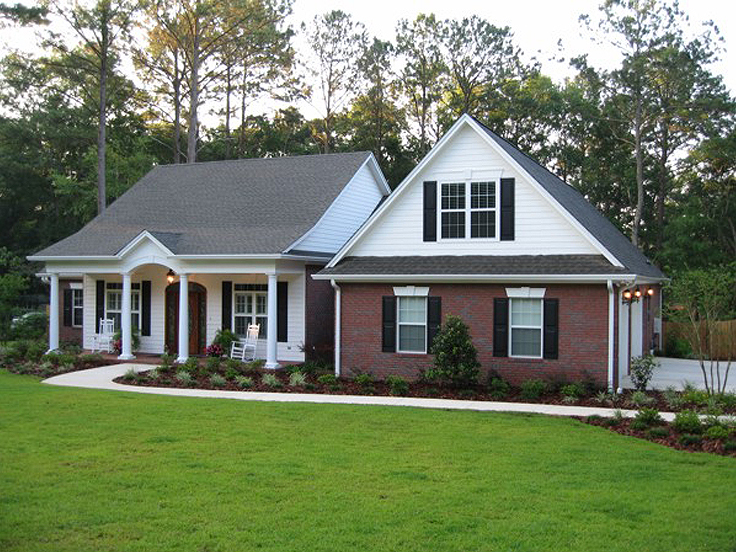 If you are looking for a house plan to accommodate your family, sometimes it is hard to find the right mix of bedrooms, bathrooms, gathering spaces, quiet spaces and outdoor living areas. Additionally, convenient elements like a kitchen island, plenty of closet space, a large garage, and an easy-to-access laundry room are a must. There are other things to consider as well, like the number of levels and foundation type. 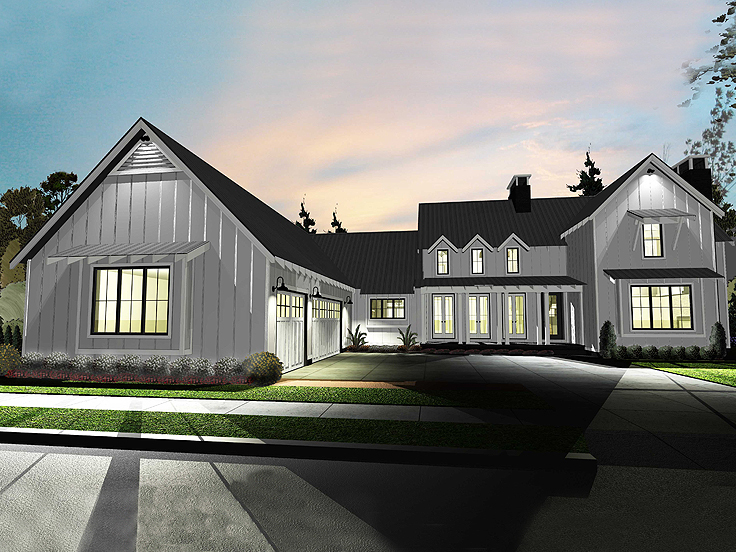 Below are three family-friendly house plans that will get you started on your search for the right design and floor plan that will accommodate your family and lifestyle. 050H-0135: The great room located centrally on the main level of this open house plan, functions as a gathering place for every day family activities. With its cathedral ceiling, a feeling of spaciousness is prevalent throughout the room. Situated on one end is the kitchen. It has a long roomy counter that is great for little ones to pull up a chair while mom and dad prepare a meal. The close proximity of the kitchen and walk-in pantry to the 3-car garage, makes for convenient and efficient transfer of groceries from trunk to storage. Busy families will appreciate that flow as with the laundry. Washer and dryer are just steps from the master bedroom’s walk-in closets and likewise from the stairs to the children’s bedrooms on the second floor. Families can break bread together in the dining room as they discuss their day. A covered back porch and a screen porch offer protected enjoyment of the outdoors. When day is done, children are tucked into their beds on the second floor, close enough to look in on, but far enough away for parents to enjoy their privacy in the main level master bedroom. 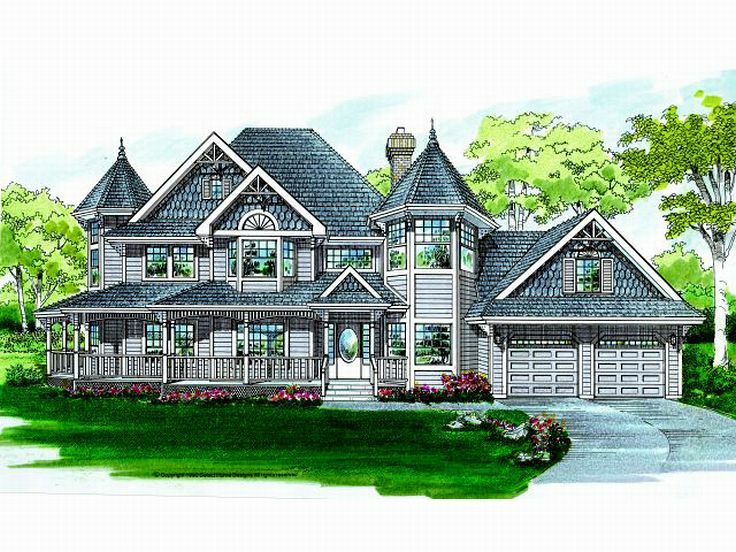 001H-0101: This attractive country house plan features a multi-material façade and would look great on any block, especially if it’s yours. It is a dandy fit for a family. Each of the children’s bedrooms has its own full bath so there’s no waiting and no bickering. Mom and Dad each have their own walk-in closet, their own vanity in the master bath, and their choice of separate shower or bath. There is sitting space in the master bedroom, the perfect getaway from the rest of the household when need be. Between the children’s rooms is a media room, a great place for using the computer for homework or games. A spacious great room with a vaulted ceiling readily accommodates daily family activities. With its handy food prep island, the kitchen is designed for efficient completion of meals and their delivery to the raised snack bar or dining room. Utilize the patio in back or the covered porch for outdoor gatherings. Every family needs lots of storage spaces and you will find them here. There is a small flex room that is probably large enough to house your hobby supplies or store the holiday decorations. A bonus room over the garage provides more storage or looks toward the future as your family grows. 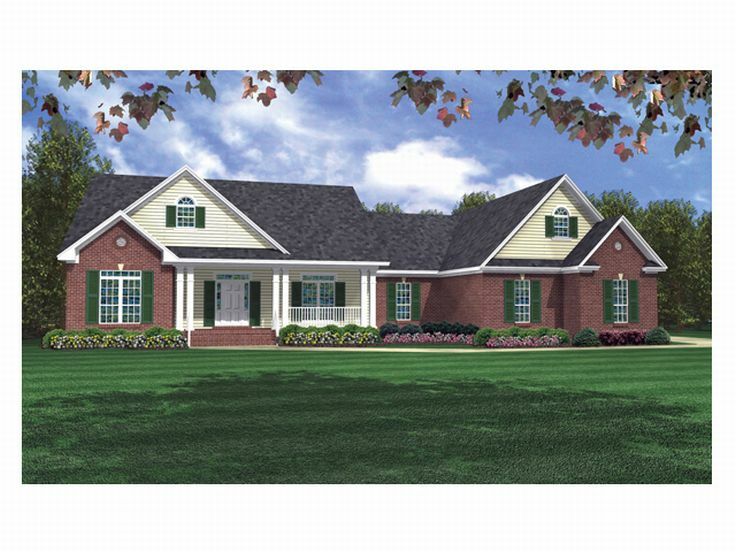 007H-0060: Begin with the covered front porch of this family-friendly Southern house plan. It provides plenty to welcome guests and delivers unobstructed views. Perfect for pulling up a chair and visiting with a neighbor while waiting for the school bus to drop off the kids. 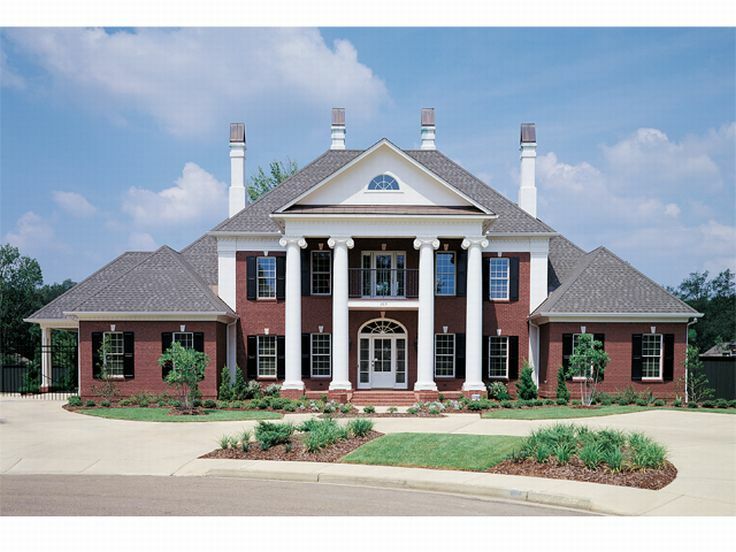 An open floor plan accommodates family activities and a formal living room makes entertaining company special. 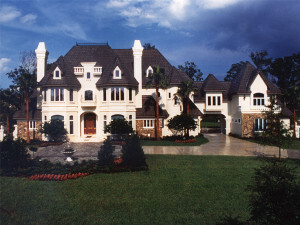 Interior details such as the master bedroom tray ceiling, columns at the entry, a family room fireplace and the kitchen snack bar make everyday living extraordinary. For outdoor activities, the open patio is a great space for grilling and the screen porch provides outdoor dining while protecting you from pests. Each of the bedrooms boasts its own full bath and walk-in closet. Mom and Dad enjoy their privacy on the opposite side of the home. The three-car garage offers protection for the family vehicles and lawn equipment. Above it is a bonus room for extending your living space as the family grows. Use our advanced search to look for more family-friendly house plans that will satisfy your family’s needs.